The Whistler Express is a daily bus reservation service offered by Perimeter. Our services include online and telephone bus reservations for transportation between Vancouver and Whistler BC. Optional services include meet and greet, Whistler Blackcomb lift tickets, and activities / hotel packages. In Winter, you can ride in the comfort and safety of a luxury motorcoach or van direct to your hotel in the mountain resort of Whistler Blackcomb. Whistler was the proud host of the 2010 Winter Olympics alpine and nordic ski events. In Summer, you can travel by van or bus, and your journey to Whistler will take you directly through the spectacular city of Vancouver. Enjoy views of Downtown, Stanley Park, and the Lions Gate Bridge which spans the waterway hosting the Alaska Cruise Ships. Your travel will then follow the Sea to Sky Highway along the rugged seaside and glacier covered peaks en-route to Whistler. Click here for Whistler Bus Reservations. Perimeter also offers luxury private transportation options to and from Whistler. 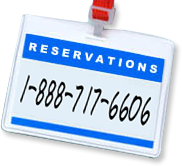 You can reserve a luxury sedan, SUV, van, minibus or deluxe motor coach for your trip to Whistler. Enjoy the convenience of being met at the airport by your driver, on a schedule set by you. Contact Perimeter to arrange your private transfer to Whistler.